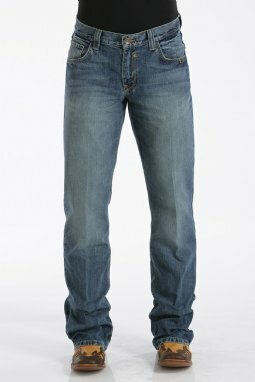 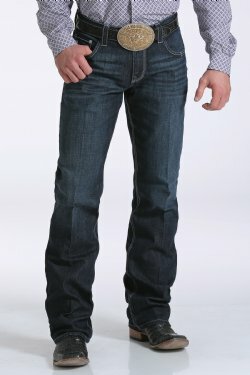 The CINCH Carter jean is one of the most popular and loved jean fits from CINCH. 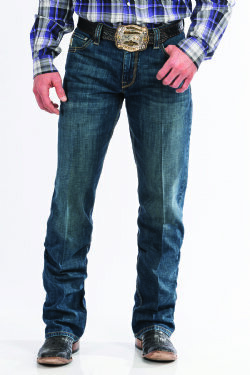 The original Carter jean has a mid-rise, relaxed thigh and knee and are boot cut with a 19.875" leg opening. 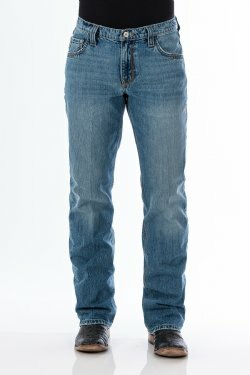 New versions of the Carter, like 2.0, 2.1, etc., fit the same as the original Carter, but have a reduced leg opening of 19", which allows the jean to better stack on boots. 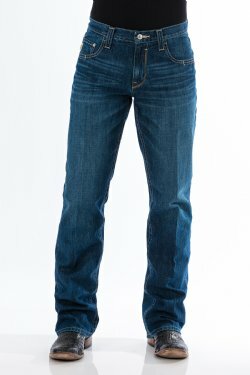 Look for the iconic Carter back pocket stitch on new styles each season in various fashion finishes.